The office of Attorney General Ken Paxton says he is recusing himself from some of his professional responsibilities as he fights an indictment on securities fraud charges. Calling it a common procedure, a Paxton spokeswoman said Wednesday the office is working to remove him from "active participation in matters in which a conflict may exist." Those areas specifically relate to the State Securities Board and the Texas Ethics Commission, according to the spokeswoman, Cynthia Meyer. Paxton was indicted earlier this year on charges of misleading investors in a technology company before he was attorney general. 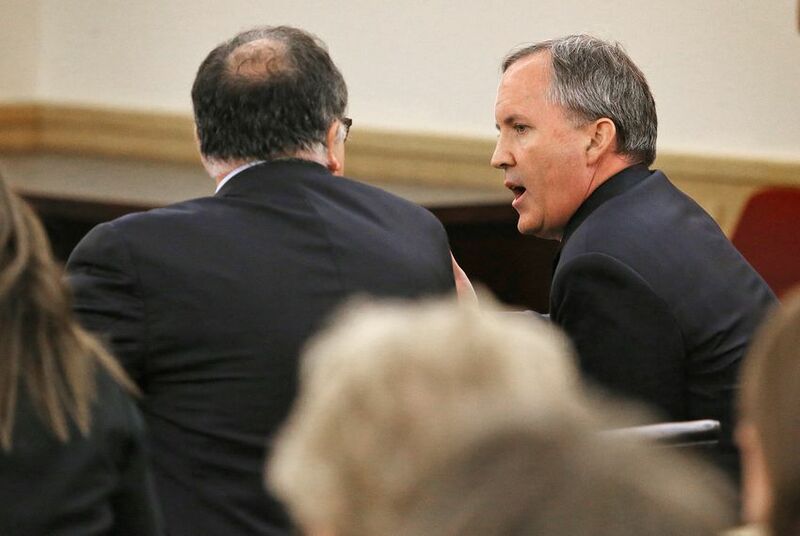 Paxton, who has pleaded not guilty to three felony charges, recently scored a victory in the case, winning access to information his lawyers had subpoenaed related to the makeup of the Collin County grand jury that indicted him in July. Paxton has insisted the charges would not interfere with his ability to do his job. In an email to supporters the day after he was indicted, he said he refused "to be distracted or deterred from my commitment to the people of Texas to fight for the rule of law." Paxton's critics reiterated their belief that he should step down following the news of his recusal. The Lone Star Project, a Democratic group, said Texans now have "a part-time AG and a full-time criminal defendant." Texas Lawyer first reported Paxton was recusing himself.